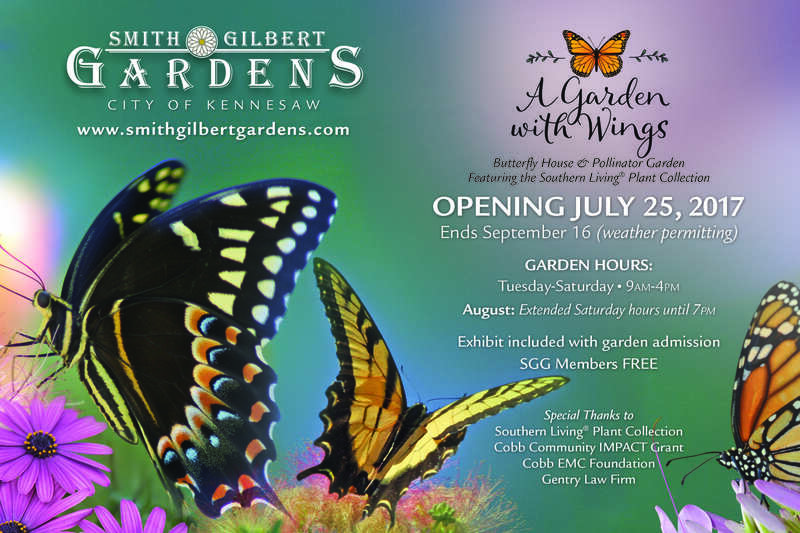 Smith-Gilbert Gardens is excited to announce the opening of their seasonal butterfly house, A Garden with Wings, on July 25th, 2017! 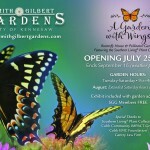 The exhibit will feature many native species including Monarchs, Black Swallowtails, Gulf Fritillaries and more. Visitors will enjoy experiencing the wonder of butterflies in all stages of life. The exhibit runs through September 16th (weather permitting), with extended hours on Saturdays in August until 7PM. A Garden with Wings is designed to engage school children, families, and all garden visitors in a fun and educational environment. 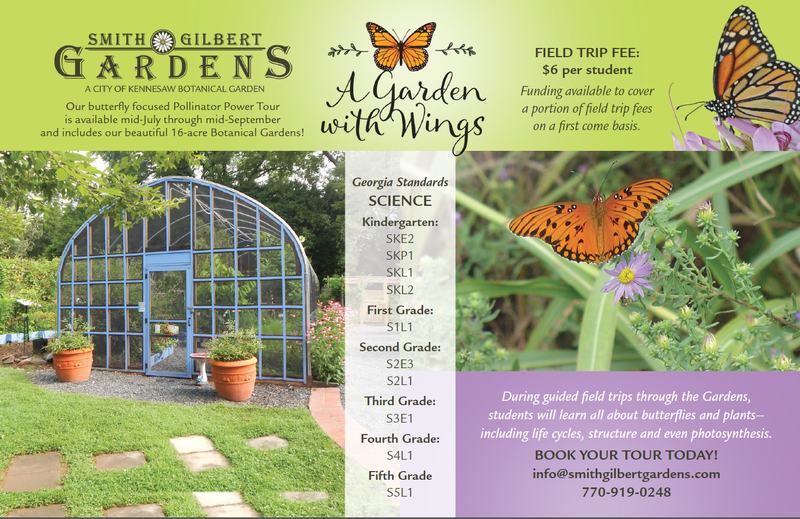 The amazing variety of butterflies and the importance of their contribution to pollination makes this exhibit an ideal school field trip for classrooms in the metro area. Visitors will also enjoy seeing the new Pollinator Garden featuring the Southern Living® Plant Collection adjacent to the butterfly house. Showcasing a wonderful pollinator-friendly collection donated by Southern Living®, this companion garden gives homeowners lots of ideas for plants to add to their own backyard.